Description:This is the Adam's Sewing Machine (sales and repairs) shop at 29 Lichfield Street in Hanley. 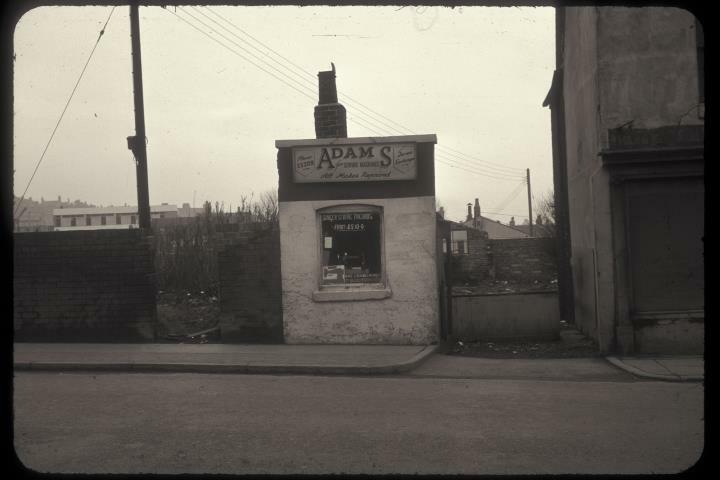 Bert Bentley thought this must have been the smallest shop in The Potteries. The shop was in the northern part of Lichfield Street which was cleared for the building of Hanley Bus Station in the late 1960s. In the early 1900s the shop was firstly a watchmakers (Stevensons) and later a tobacconists. 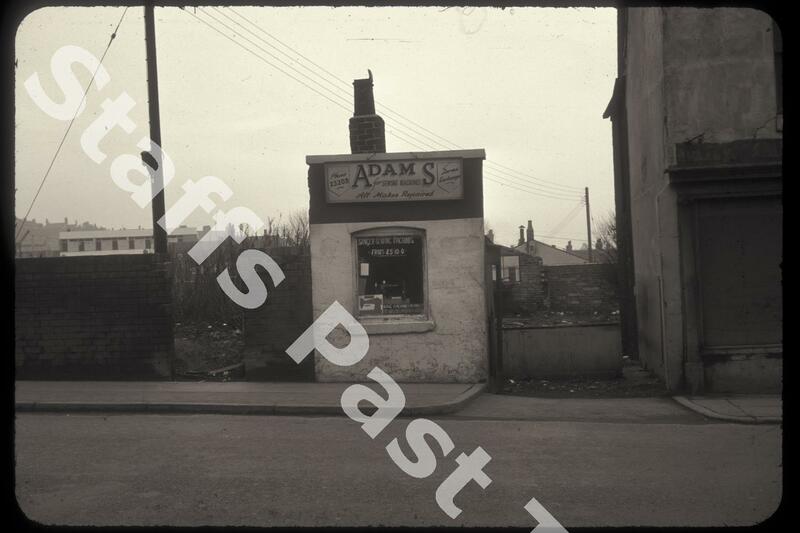 Adams moved to other locations in Hanley.